Akenara is considered today as one of the most renowned Mexican yoga teachers of his era. Akenara started studying yoga in Playa del Carmen, México and after he decided to immerse himself in India. During this immersion he studied different styles of yoga (Ashtanga, Iyengar, Sivanada and Satyanada) in different places, such as: the Bihar School of Yoga, Tattvaa Yoga Shala, Yoga India Mysore and Bheema Shakti. The moment that changed his life and his vision of yoga during this trip was his stay at Bihar School of Yoga, the Ashram (Monastery) where he resided for more than 14 months, developing the lifestyle of a Sannyasin (monk) under the teachings of Paramahansa Swami Niranjananda Saraswati. Upon his return to Mexico, his teaching career led him to develop his own style called Akenara Yoga which is based on Vinyasa. In 2015, Akenara fulfilled his great dream by becoming co-founder of his own yoga school, YOGA LUZ. He also started his own Yoga Teacher Training Program, which has continued year after year and is in it’s fourth generation. Akenara has taught yoga classes, workshops, trainings and yoga retreats throughout Mexico. In 2016 his passion project Vinyasa’s “The Art of Sequencing” training took off, which is also in it’s fourth generation. The aim of Akenara’s leassons are to impart to his students the importance of understanding the integral Yoga. His teachings go beyond the physical and postures he puts great emphasis on nurturing more subtle aspects the mind, emotions and the heart. 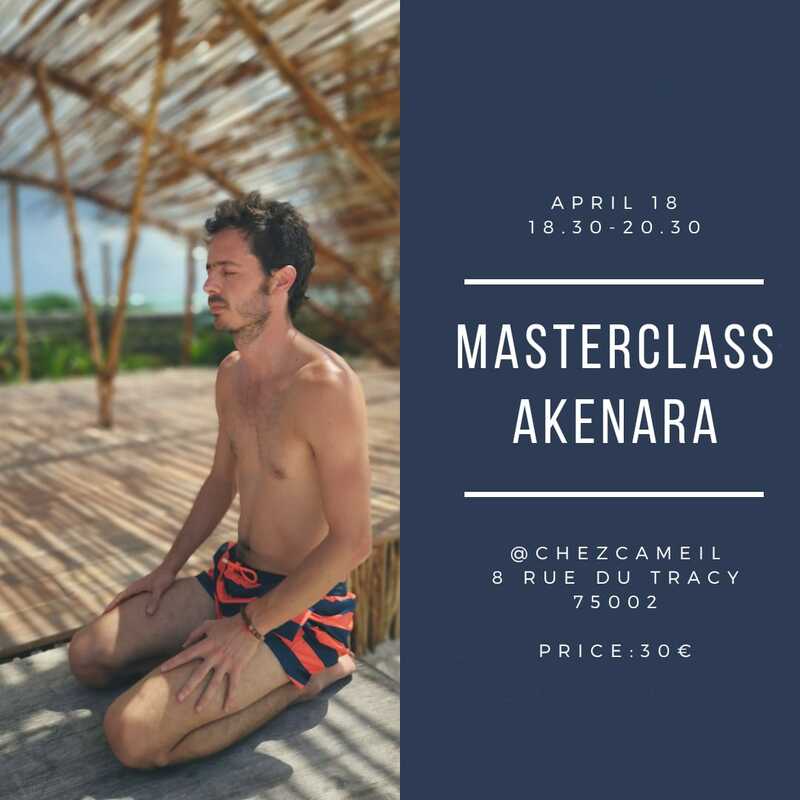 Through his lessons Akenara hopes to generate a broader perspective that can be incorporated into daily life. He hopes that his journey will become a source of inspiration to grow. We will be lucky to have him hear at Chez Cameil.